Arnold Schwarzenegger tours his namesake sports festival like a king. His appearances are preceded by a team of security conspicuously clad in camo, which round the corner ahead of the dignitary to clear a path. The inevitable hoard of adoring fans pushes back, trying to get a picture. 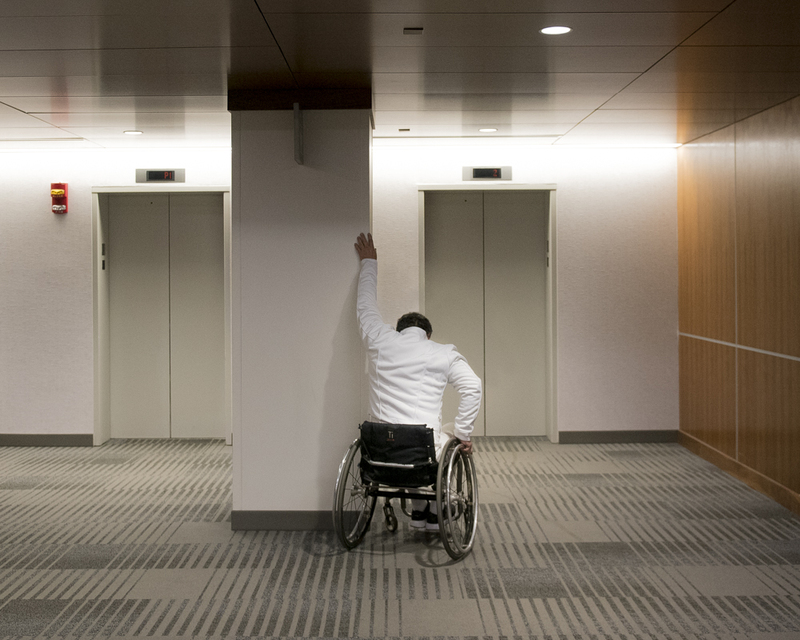 As he is whisked from room to room, touring the various venues scattered around Columbus, Schwarzenegger takes selfie videos for his snapchat (@ArnoldSchnitzel) and without fail, booms his classic “I’ll be back” upon exit. 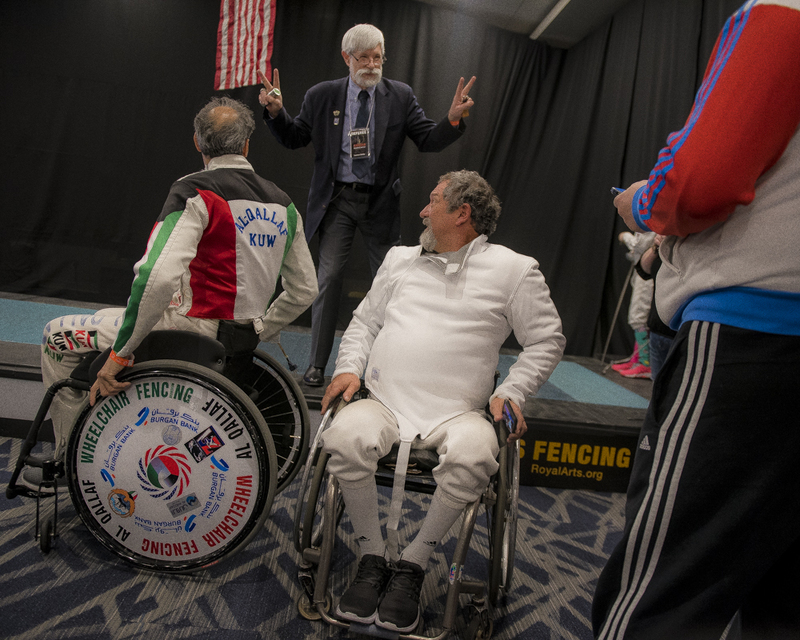 Tareq Al-Qallaf, of Kuwait, and Rick Swauger, of Logan, Ohio, are among the crowd, straining from their wheelchairs to catch a glimpse of the man. 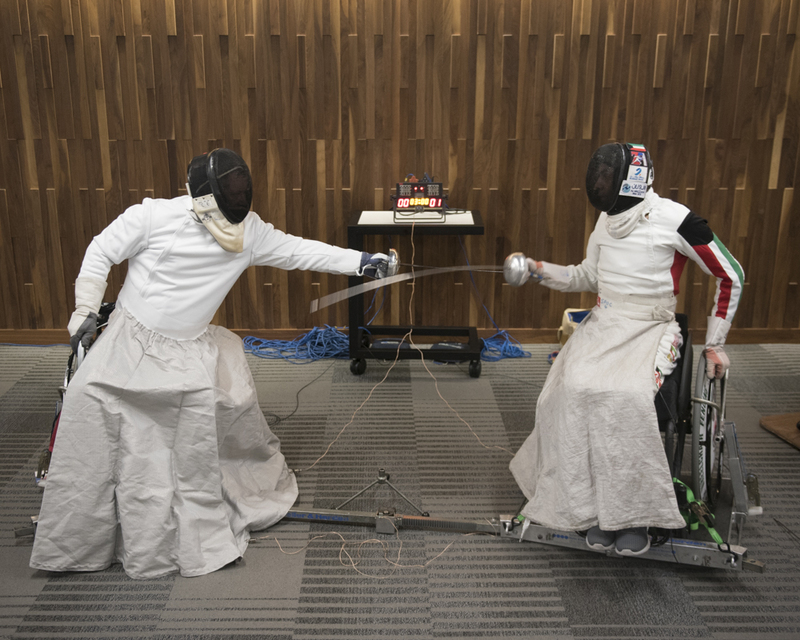 As the only two wheelchair fencers at this weekend’s tournament, they had been scheduled to duel in front of the man himself. They would have to settle for this - a shaky few seconds of cellphone video. 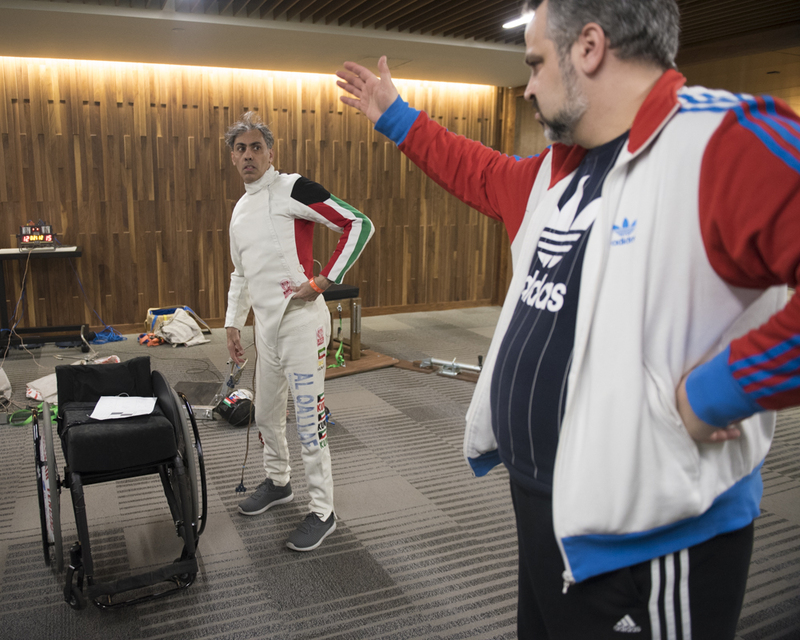 The two fencers had been warming up together in preparation for Arnold all morning until rumors of his sudden arrival reached downstairs, causing them to drop everything, detach from the fencing chairs anchored to the floor and ride the elevators to the main venue.